Join one of the Frozen favorites, Disney's Oaken, on a skiing adventure! 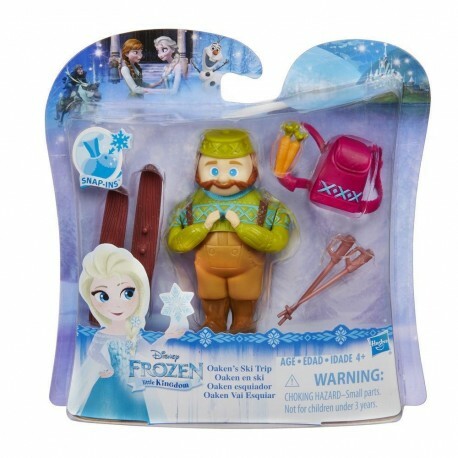 The included Oaken figure is ready for snowy fun with 2 skis, 2 poles, carrots, and a rucksack. Play along or create new stories with Oaken and his wintry accessories. Kids will be so excited to build their collection of Frozen toys with this movie-inspired addition (other sets sold separately). Includes figure, 1 Snap-ins piece, rucksack, 2 skis, 2 poles, and carrots.